Choosing Joy: Meal Planner Tuesday-- Razorback Britt style! Meal Planner Tuesday-- Razorback Britt style! Hey guys! My first guest blogger, EVER, is a friend of mine named Brittney, she and I met in college a few years back. She graciously is stepping in for me this week (while I'm kicking it on the beach...) to do meal planner Tuesday... Her blog is adorable and she posts great stuff! So please check it out! Hello there! I am Brittney from Razorback Britt (link to razorbackbritt.blogspot.com). I am sooo excited to be guest posting for Jenna while she is gone. 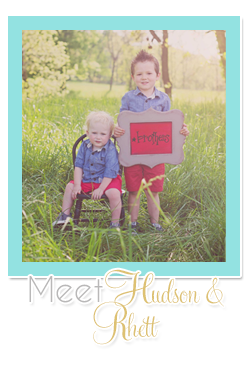 I met Jenna at OBU where we both went to college, but I didn't really know her well until I started stalking, I mean, reading about Jenna and her adorable Hudson on her blog. 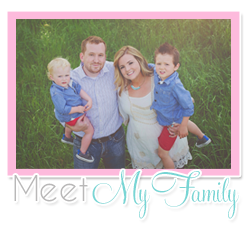 It has been a fun thing to get to know her and her family through her blog. My blog is just about my life. 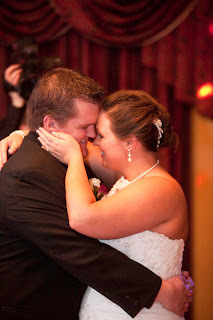 I am a newlywed (just over a year with my hubby Tyler). Anyway, enough about me, and let's talk food. It IS Menu Plan Tuesday, after all! I blog my menus weekly (usually on Sunday). I post it mostly for me, so I have to actually write out a weekly meal plan, and then I blog it so I have it saved somewhere I won't lose it. I am quite forgetful...but posting it to my blog means I can always pull it up on my phone whenever I think "What is for dinner tonight?" Its so handy. If you don't plan weekly menus, I HIGHLY suggest it. You will save money by only buying what you need. You will save time by only making one trip to the grocery store. My big trip is on Sunday afternoons. If we run out of milk or something else tragic, I might have to make a quick stop on my way home...but no more daily trips to pick something up for dinner. It's so great! So here is what is on the menu for my family this week. There are only two of us..but I usually make a whole recipe of something and we take leftovers for lunch. Or if its a big recipe, I invite my mother-in-law over for dinner. (She is a saint-like MIL. I am always happy to have her over. And she does the dishes. Bonus.) I find a ton of recipes online, and my current favorite is Skinny Taste (link to http://www.skinnytaste.com/) so I have a couple new recipes I found there this week. We try to eat relatively healthy. Dinner is our biggest meal of the day, but I try to make most nights under 500 calories. We usually have one indulgent meal each week. Gotta have everything in moderation, right? Monday: Spinach Lasagna Rolls (link to http://www.skinnytaste.com/2010/02/spinach-lasagna-rolls.html) and salad. I might actually add some ground beef to the filling. My husband likes his meat. This is a new recipe for us, I can't vouch for it. But it looks good. Tuesday: Slow Cooker Chicken Parmeasean (link to http://www.5dollardinners.com/2009/11/slow-cooker-chicken-parmesan.html). This stuff is soooo good. Thursday: Cream Cheese Chicken. (link to http://crockpot365.blogspot.com/2008/05/crockpot-cream-cheese-chicken-recipe.html) So creamy and good. Friday: Korean BBQ Lettuce Wraps. (link to http://allrecipes.com/recipe/korean-barbequed-beef/detail.aspx). Also with brown rice. These were on my menu for last week, but I forgot when I made my menu that I would be out of town. So we will have these this week! They are savory and super yummy! My tip is to cut the beef up small. My husband hates biting into big bites of beef on the lettuce wraps. Smaller chunks (like mini bites of meet) make it much easier to eat. So that's my menu for the week! What are you cooking? Do you make a menu each week? How do you plan? Come by my blog (link to razorbackbritt.blogspot.com) and let me know! Thanks ya'll!